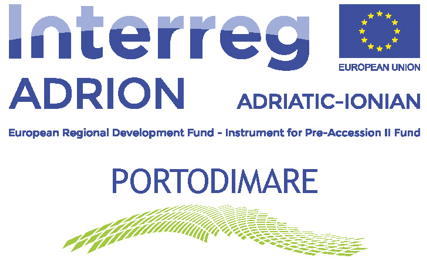 PORTODIMARE aims to create a common platform (Geoportal) for data and information related to coastal and marine areas of the Adriatic-Ionian Region, by integrating existing databases, portals and tools developed by previous EU-funded projects (e.g. SHAPE, ADRIPLAN), local and national administrations and other initiatives. Available data and information will be therefore structured and made accessible through a single virtual space. One of the initial task the project will focus on the identification of the Geoportal end-users and the definition of its key characteristics, including: functionalities, data and information to be include, time and space resolution. the Action Plan of the European Union Strategy for the Adriatic and Ionian Region (EUSAIR). Emilia-Romagna Region (Portodimare lead partner) will host the Geoportal and ensure its maintenance after the project conclusion, while all partners will contribute to populate the Geoportal with data and information. PORTODIMARE also involves few associated partners, all located in Italy: Molise Region, Marche Region and the Regional Agency for Environmental Protection and Energy of Emilia-Romagna Region.